1. Qin Jiang, Zimiao Luo, et al. 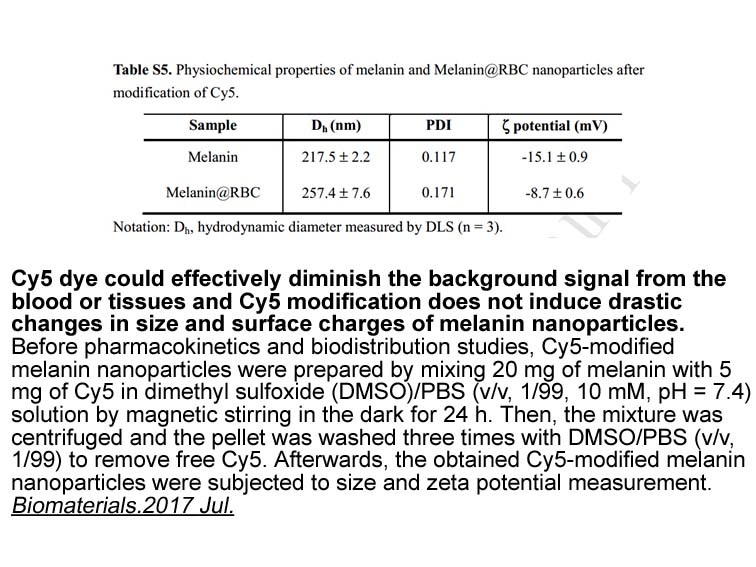 "Red blood cell membrane-camouflaged melanin nanoparticles for enhanced photothermal therapy." Biomaterials. S0142-9612(17)30483-0. Cy5 amine is a reactive dye which contains amino group. This dye can be coupled with a variety of activated esters and other electrophilic reagents. For instance, this amine can be coupled with EDC-activated carboxylic groups. With this bright and photostable reagent, many different methods of fluorescence detection is available and colorful fluorophore can also be easily detected in small quantities by naked human eye. 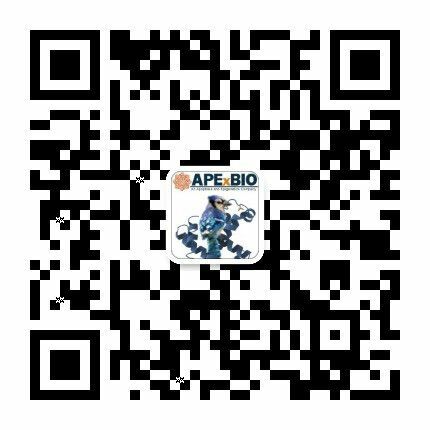 For biomolecule labeling, using of organic co-solvent to dissolve this molecular is necessary for efficient reaction. First, Cyanine dye should be dissolved in organic solvent and then added to a solution of biomolecule in appropriate aqueous buffer. 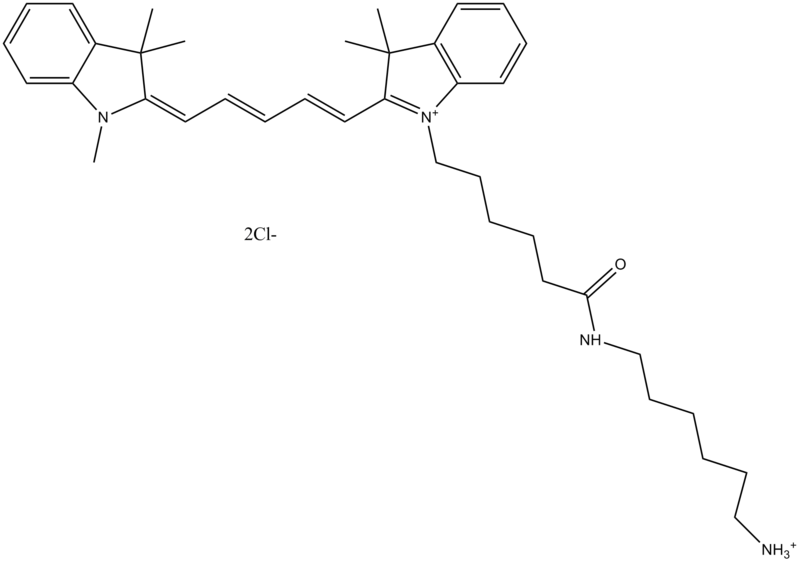 In A2780 cells, the conjugates polymer 2P-Cy3-Cy5 can be used for the analysis of the pair-correlation functions between Cy3 and Cy5. Treated with 2P-Cy3-Cy5 for several hours show similar shape and characteristic decay lengths . 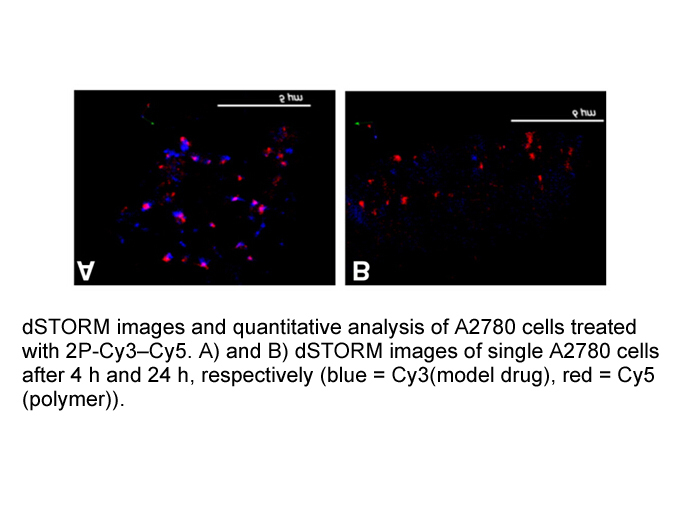 Hartley, J. M.; Zhang, R.; Gudheti, M.; Yang, J.; Kopeek, J. Tracking and quantifying polymer therapeutic distribution on a cellular level using 3D dSTORM. Journal of Controlled Release, 2016, 231, 50–59.